I said I would try a varied selection of activity to get my body moving and drop some pounds before the serious cycling starts. 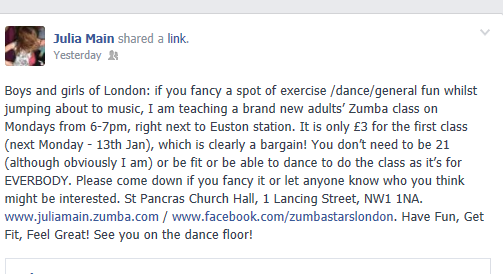 However I didn’t think I would find myself in a church hall near Euston this rainy Monday evening Zumbering. The fact that I did is partly about trying out something new but also a great indication of the sort of people I work with at Dow Jones. A school friend of mine, Julia Main, recently moved back from Italy. She posted on Facebook that she would be running some Zumba classes in a location pretty close to my office. As I’m looking for ways to get fit and Julia being a fellow Old Cranleighian (and 2Norther no less) I decided there and then that I was in. It wasn’t until after I had confirmed my participation to Julia that I googled “Zumba” and realized what I was getting myself into. The various videos of thin, athletic and (lets face it) coordinated people I was presented with made me realize pretty quickly that I would be out of my comfort zone. Turning to my colleagues I asked for support and in typical Dow Jones fashion (like having fun, take on a challenge, enjoy trying something different and most importantly support each other) I soon had 18 takers! 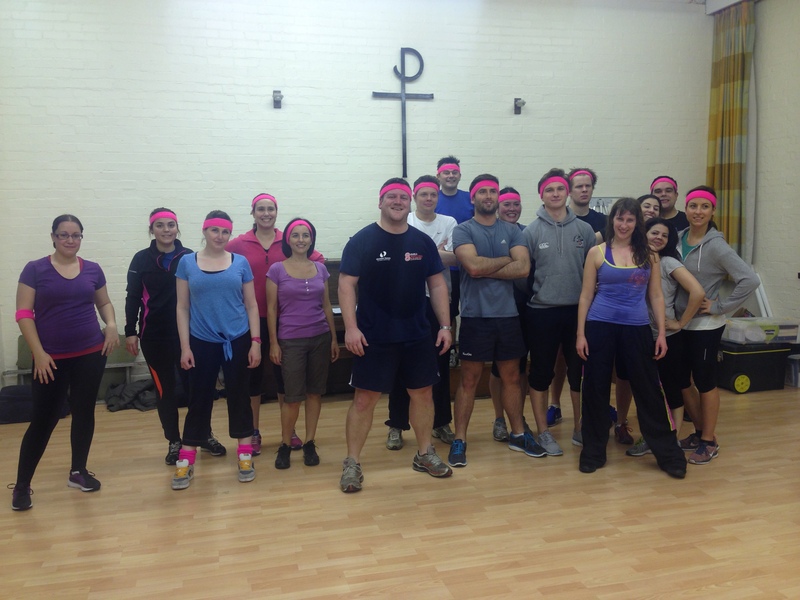 This entry was posted in Uncategorized and tagged dow jones, getting fit, julia main, zumba by jcdw10. Bookmark the permalink.